I was catching up with a friend last weekend and we went to the Japadog store on Robson. The store is quite small and seating was limited but it was more than a hot dog stand could offer. 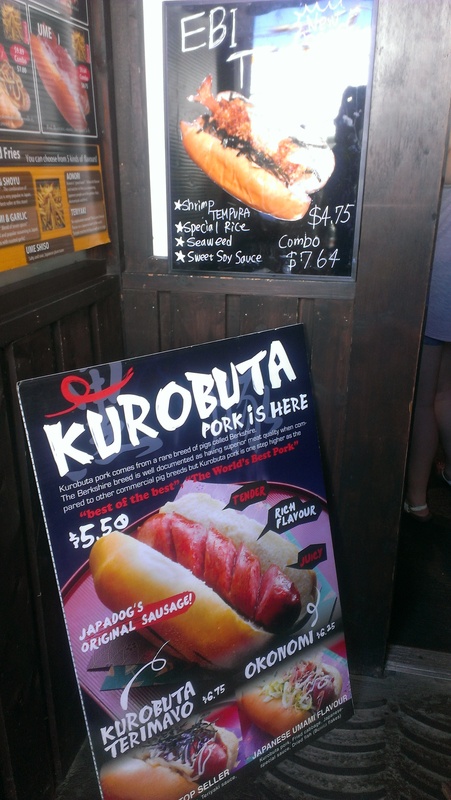 I noticed that Japadog has really expanded their offerings a lot since the last time I went. They now have hot dogs with noodles and rice too as ice cream. While we were waiting outside, there was an employee offering samples of their “shake shake fries”. My friend and I both thought they were too salty and the fries didn’t seem that special. We both had one of their original offerings which was the Terimayo Japadog. 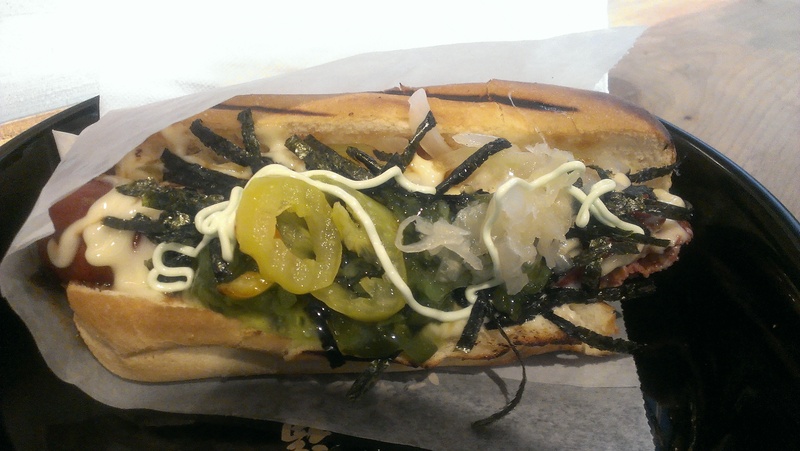 It’s a hot dog topped with Teriyaki sauce, mayo and seaweed. They also have some other condiments that you can add on top including banana peppers, relish, onions and chopped radish as well as wasabi mayo! I haven’t had a Japadog in a long time so it was quite delicious to me. I think it’s the Teriyaki sauce that makes it so addicting! The bun was also nicely toasted and very warm. It was also cheaper than I remembered at $4.75. I thought they used to be more like $5.75? Anyway we enjoyed our visit here again, if you want a fancier Japadog you will have to shell out a bit more but I think they have some interesting creations here so it doesn’t hurt to give it a try. They are quite delicious! 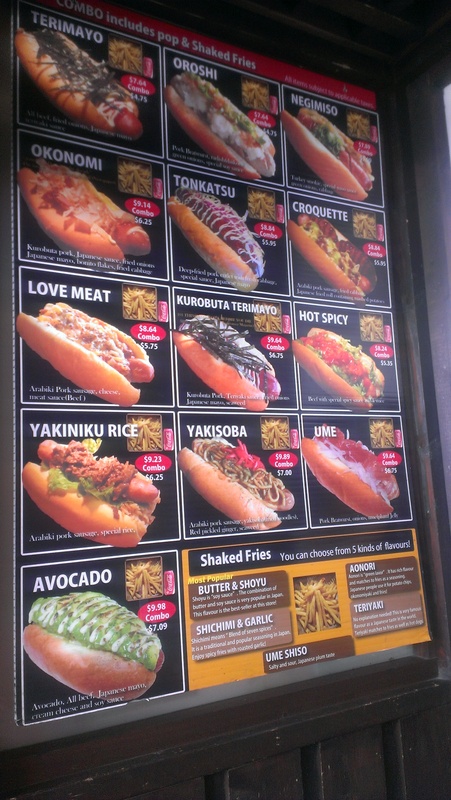 This entry was posted in Fast Food, Food Reviews, Japanese and tagged hot dogs, Japadogs, Terimayo.